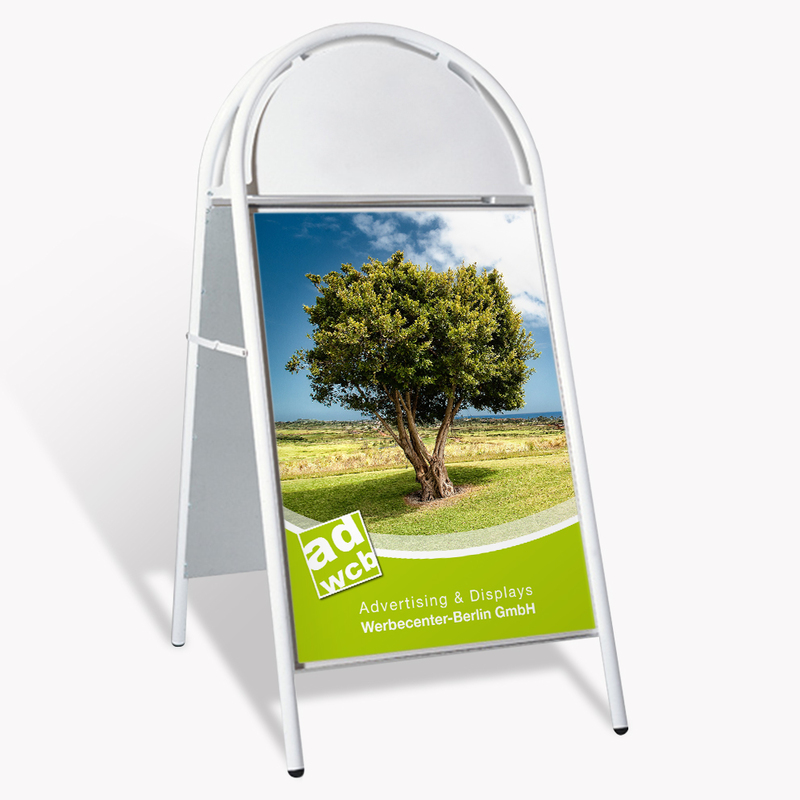 The pavement board "Expo Gothik" is a phosphated and polyester coated steel frame. 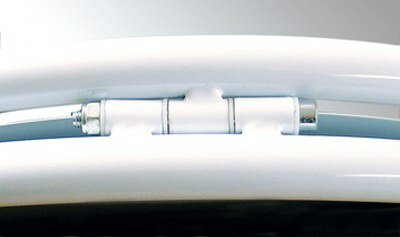 It is available in white or silver (+ clear coat). 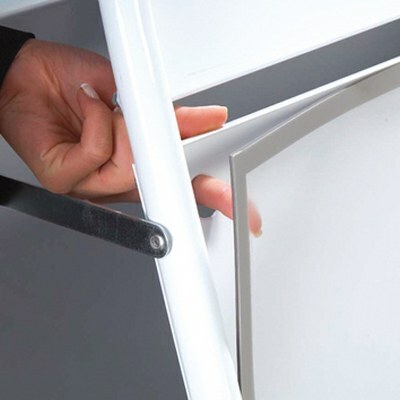 The rear boards are made of galvanized aluminum and are stainless and unpainted. 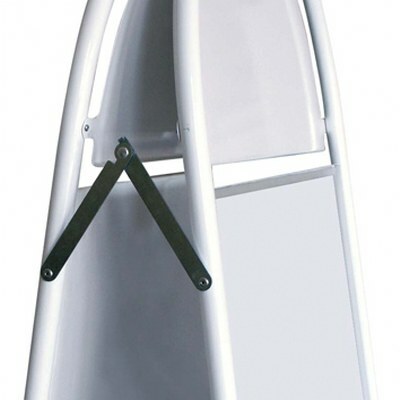 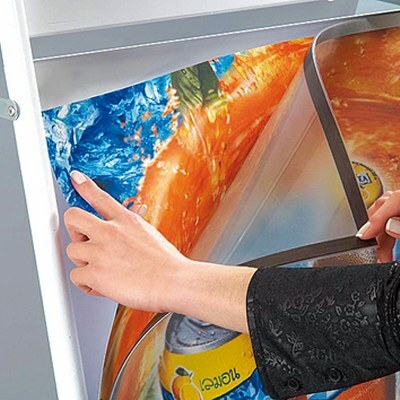 It has a non-reflecting protective PET frontsheet for your poster and a magnetic cap for an easy exchange of the motif. 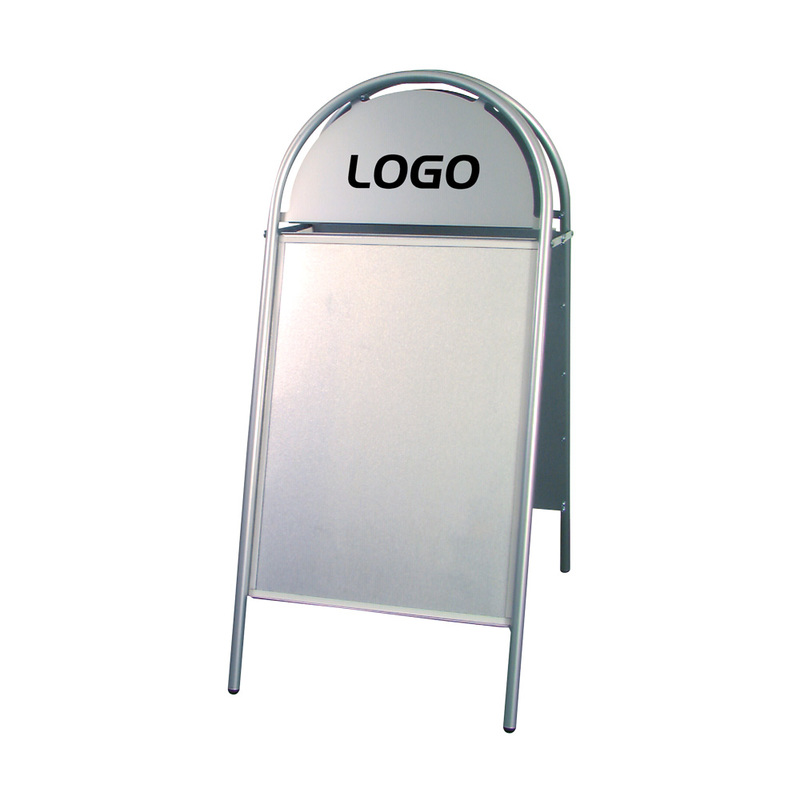 The half-rounded logo panel can be laminated with a sticker (additional).